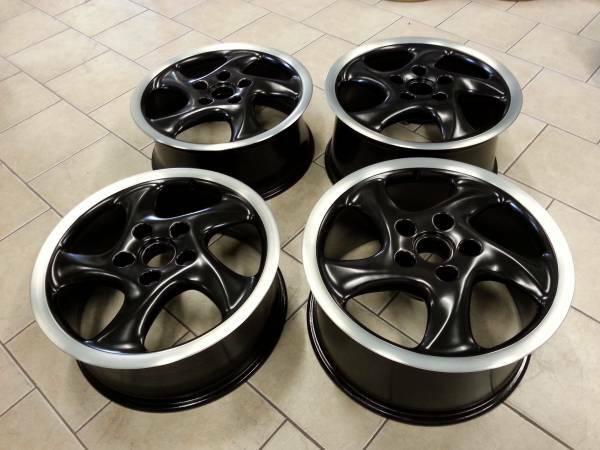 These were done in Prismatic "Bronze Chrome" P-4124B powder with a matte clear finish coat. 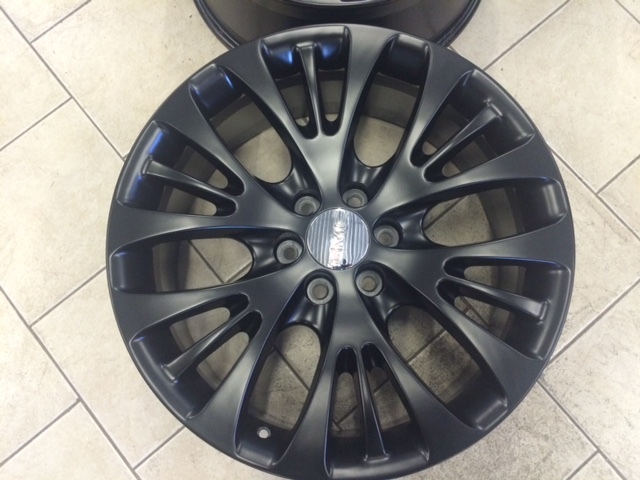 We refinished these in a black with a machined lip and a matte finish. It really gave this 1997 Boxter a retro look. 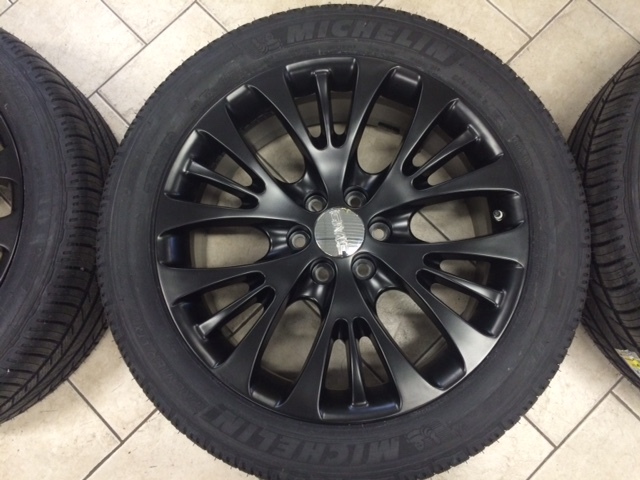 We converted these from chrome to matte black and installed some new Michelins. 2012 Subaru WRX in WR Blue Pearl to match the car's paint color. 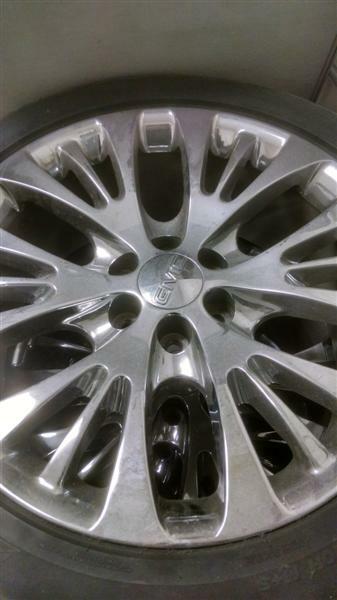 The customer wanted a different look, but didn't want aftermarket wheels. We transformed his into what he wanted.